This SUNSEEKER 28 Metre Yacht for sale is another splendid example of one of Sunseeker’s most sought-after models. Built in 2012 and first commissioned/delivered in 2013, this 28 metre flybridge yacht is equipped with loads of additional extras and upgrades, including the Platinum upgrade package with carbon fibre Hardtop and Trac stabilisers, hydraulic swim platform, opening balcony, upgraded air conditioning, powerful A/V systems, three upgraded generators, Idromar watermaker, a flybridge jacuzzi, KVH Tracvision Sat TV and a galley upgrades with Subzero and Miele appliances. With strictly private use, VAT paid, low hours, updated and professional maintenance and comprehensively refitted in 2016, this SUNSEEKER 28 Metre Yacht is certainly one of the finest examples on today’s pre-owned market. Viewings are highly encouraged in South-East Spain. 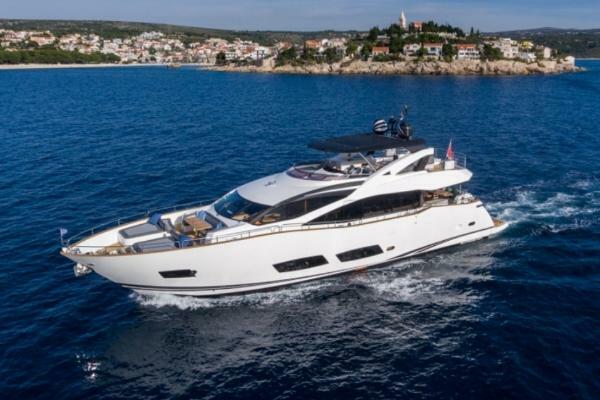 Powered by twin MTU 1950 Hp Diesel engines, the SUNSEEKER 28 Meter Yacht delivers 24 knots cruising and a top speed of 29 knots with considerable range. 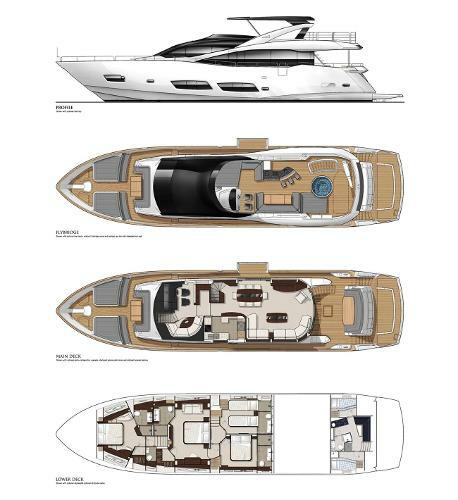 Her voluminous and tasteful interior comfortably accommodates 8 guests in 4 en-suite cabins. A full-beam Master cabin amidships, a large VIP cabin fore, a Double guest cabin and a twin cabin convertible into a double. 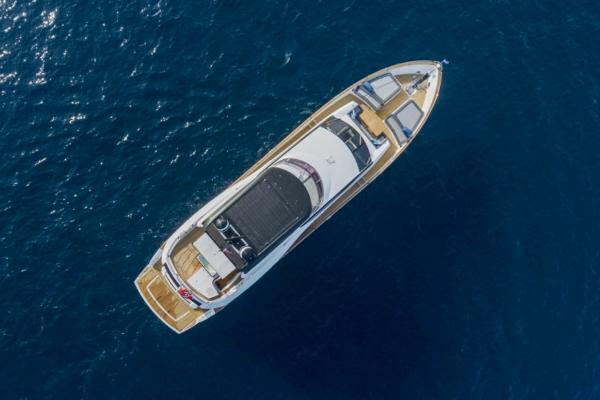 For guest’s convenience, the motor-yacht also comprises a main-deck day-head and further accommodation for 4 crewmembers with separate access to ensure guest’s privacy and providing unrivalled service on-board. FEATURES Low Hours, immaculate condition VAT paid, strictly private use Loaded with options TRAC Fin Zero-Speed stabilizers YachtController® for easier manoeuvrability Oversized Generators, Bow & Stern Thrusters Powerful upgraded A/V system Day-Head on main deck option Versatile 4-cabin layout with twin cabin convertible to double Super-silent night generator Jacuzzi on flybridge Balcony on starboard side Please click on the « Full Specs » tab for complete details of this Flybridge Yacht.